Then click on the Create account link from the Sign in dialog box. To change the password of your account, go to Sign-in menu and in the bottom of the pop-up dialog click Forgot your password. In the next screen, you will need to type your email address (existing login to Solargis) and confirm. An email will be sent to your inbox, providing the link, where you will be able to reset your password. Your Solargis account username is same as your email address. 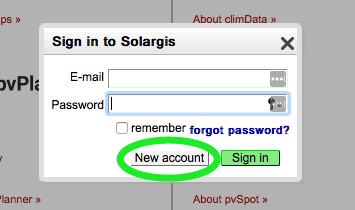 To use Solargis services with a new email address you will have to create a new user account with a new email address. 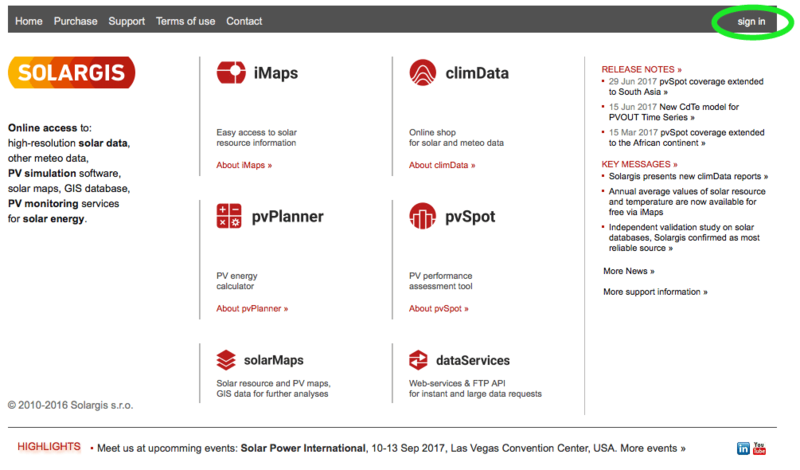 Once you have created a new account, you can request a transfer of iMaps, pvPlanner, and pvSpot subscriptions from the old account to the new account. From your new account, click on the site manager icon, select import and choose the previous kml/xls file. 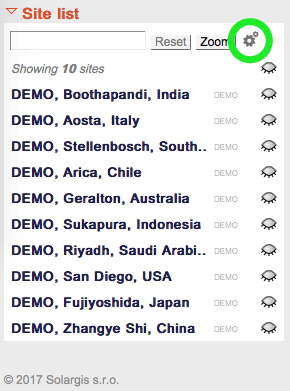 Now you will see the bookmarked sites under site list of your new account. Please note that for the moment it is not possible to transfer purchase history from your old account to the new account.